Elmwood Flooring since 1976 has always prided itself with great service, products, and quality craftsmanship, along with out-standing warranties, making our company the best in Chicago and the Midwest area for all your home or business Flooring and Construction needs. With over 40+ years experience and real focus on customer satisfaction, you can rely on us for your next renovation, remodeling or flooring project. We combine quality workmanship, superior knowledge and great prices to provide you with service unmatched by our competitors. ElmWood Flooring Construction Co. since 1976, has always prided itself with delivering outstanding service, best products with quality craftsmanship, along with the best customer warranty program, making our company one of the Top companies in Chicago, IL and the Midwest area for all your Flooring and Construction needs. You will be surprised to find out all that we do! Just click on ‘Services’ to find out more. The difference between having ElmWood Flooring or another flooring company is that we offer you the best warranties around, form 1 – 5 Years, up to our 10 Year Warranty as specified in our terms and on our contract! Founded and Family owned since 1976, Elmwood Flooring Construction Co. has established itself as one of the best Chicago Area and Midwest Flooring Construction service providing companies around. All while providing customers the best Service, Products, and Warranties. Just read the Testimonials from satisfied customers. If you have received another estimate in writing from a different company out there that may be below our pricing., We might be able to ‘meet or beat’ their price by up to 5% off. That’s our Best Price Guarantee! ElmWood Flooring is and always will be a Chicagoland based construction flooring company in Illinois that offers wide range of products and construction services, anything from wood flooring installation to refinishing wood floors and more, like sanding wood floors, staining wood floors, sanding and staining front wood doors on homes, refinishing wood garage doors with UV out-door sealers and stains, all types of tile work, carpet cleaning, carpeting installation, Cleaning Air Ducts, Concrete work, HVAC, plumbing, drywall patch repair, and painting just to name a few, all new work comes backed by our great 1 to 10 Year Warranties. After re-viewing our site you will see that ElmWood is the right choice for getting any type of project done the right way, the first time, by professionals that want you to be satisfied with how your project turns out, ElmWood gives every customer of ours the satisfaction of knowing that ElmWood stands behind all new projects with the best materials, Highly experienced/Trained employees, and the best warranties in the business. ElmWood is the Chicagoland flooring contractor that you have been looking for! 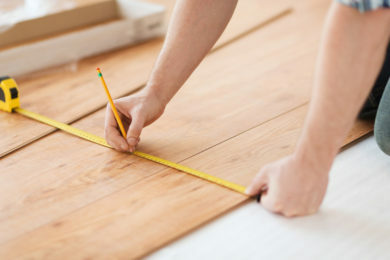 We provide quality flooring services throughout the Mid-west, Chicago and the Chicagoland area. We are a premier Chicago Flooring Contractor that is family owned and operated, ElmWood provides quality service to both residential and commercial clients at reasonable market rates. The flooring services provided by the Chicago Flooring Contractor are always top notch. We have been in business for many years and learned all that is there to know about hardwoods, Pergo, inlays, bamboo floors and many others! Call or email us today for a free quote on any project that you’re wanting done. Since 1976, our company has been and always will be family owned and operated. ElmWood has access to lots of different products of all kind in our industry and we have highly trained experienced employees, making us one of the greatest flooring/construction company in the Chicagoland and Mid-West region. When it comes to any and all work that we do, we use all types of the highest quality industrial flooring products that they make in the 21st century, if we don’t have it in-stock, we will try to find it for you, we deal with all types of different mills from all over Canada, United States, China and other parts of the world. We handle all types of commercial and residential Hardwood flooring including but not limited to; sanding, refinishing, and installation. We install and refinish wood floors, patio decks, fix bad floor boards, install all types of tile-stone/glass, Pergo, staining wood, wood garage doors, front doors to your home, stairs, and railings, carpeting and cleaning. We also offer custom design work and installation. No job is too BIG or small for our company. We handle over hundreds of types of different woods and products! If we don’t have it in stock we will do our best to find it for you, seeing we have lots of different mills and manufactures we do business with. The difference between having ElmWood Flooring or another flooring company handle any work you are looking to have done is that we offer you the best warranties around, from 1 to 10 Year Warranty as specified in our contract. 1 to 10 YEARS no matter how much normal daily abuse your floors undergo. This is on new installations and finishes for new work only with three coats of finish or more, depending on if its (Eco-friendly-water base) with no VOC’s levels, alcohol, or oil base (poly). Also, ElmWood Flooring offers our customers, who want to SAVE extra money, other services; like cleaning and coating wood floors for less than it would cost you to sand and refinish them or install a new flooring system, just ask us how we can save you time and money, by buffing and recoating your hardwood floors to make them look newer. ElmWood Flooring stands behind all of the work we provide and do that is covered by our Terms/Warranties. In order to keep your floors looking their best now and into the future, hardwood floors should be regularly cleaned, buffed, or sanded and refinished every five to ten or twenty years or so, depending on how much daily abuse they undergo. You can save a lot of money by having them maintained properly, or buffed and re-coated without sanding them before they get to that point of no return and give them a fresh new look for half the cost of sanding and refinishing. Call us today to have one of our Professional Sales Estimators review your flooring project and tell you their professional opinion on what is needed. Another great reason for having ElmWood Flooring work for you is that our company offers all of our customers that send us any future referrals our way, that end up becoming signed and dated contracts, will receive $25.00 referral fee, just one way of saying thank you for letting us be the only Chicagoland wood flooring company you, your family and friends will ever need today and into the future. Our promise to you is that we will always give top quality flooring at the best prices possible, from a company that takes great pride in every project we handle. Feel free to call us any time during our business hours to set up an appointment time for an estimate that works around your schedule. Also… here at ElmWood we have a meet or beat price Guarantee. This is how It works, if you receive another estimate in writing from another company out there that maybe cheaper! We may be able to meet that price or beat the price you got by up to 5% off. That’s our Price Guarantee! Our prices will be around all of the other estimates you may get from other companies out there, lower, higher or maybe in the middle, but if for any reason our price is more, just show us the estimate you got in writing from the other company and we will meet that price or beat it up to 5% off. All depending on what the other company has to offer you at the price they put in writing. (Ask us for details) This is our Price Match Guarantee! Thank you for visiting ElmWood Flooring. We hope this information helped you in your decision to have ElmWood handle any project that your wanting or needing done, from all types of construction, sanding and refinishing, duct cleaning, wood floor installation, All types of tile, carpet installation or carpet cleaning needs. We look forward to servicing your home or business project when you’re ready. Call or email us today to find out how we can help you with your flooring project and feel free to ask when calling if we have any special deals or discounts going on for this month. Thank you for reading this page and we hope to hear from you soon about your project and how we can help make your Home or Business location look it’s best. ElmWood Flooring Construction Co., Inc. The Chicago Construction Services provided by ElmWood Flooring goes well beyond just flooring as you will find out. We offer all types of home and business construction services, we make sure to go above and beyond what most normal flooring contractors do, so you don’t have to hire 2-5 different companies at one time which can be a headache when all you have to do is hire ElmWood, and we will do it all for you from start to finish. All of the work we handle is done by our very well trained professional crews, and we make sure that our customers are always very satisfied with how their project turns out by offering the best of everything that we provide and service. We Guarantee total customer satisfaction with all work that we provide. The difference between having ElmWood Flooring vs. another Contractor/Flooring company handle any work you are looking to have done, is that we offer you the best in products, customer service and warranties, from 1 – 5, up to our 10 Year Warranty as specified in our Contract and Terms., 5 to 10 YEARS no matter how much normal daily abuse your floors undergo. This is on new installations and finishes for new work only, with three to four coats of finish or more, depending on if its (Eco-friendly-water) with no VOC’s levels, alcohol, or oil base poly., Tile, VCT, Carpeting or something else… We Do It all, backed up by the best Warranties in the industry. We believe in Top Quality Service, and by providing Top Quality Products and Labor along with many services in the areas of new flooring, Tile, or Carpeting, construction, hardwood, laminate, Pergo, custom design, inlays, bamboo floors, red oak, white oak, maple, cherry and hundreds of many other products to pick from., you will come to find out how we go above and beyond to make sure our services stand out from our competition as the best, one of many reasons why most people who find out about ElmWood keep coming back and become life long customers, friends and feel like apart of the ElmWood Flooring family. "Elmwood did a wonderful job on our bedroom & dining room floors. They, specifially Darren, are quite meticulous. They are wood experts, and we highly recommend them." "We left for Florida for two weeks and gave our house keys to ElmWood- when we returned our floors were perfectly sanded and finished. We ask for no more than this." "I am very pleased with the overall experience ElmWood employees were very professional on time and accommodating. Knowing that we were on a very strict schedule, they stayed overtime and finished the project. They were concerned with our satisfaction with the project. I would highly recommend ElmWood Flooring! They made a very difficult project as easy as possible. Thank you." My Husband and I were very satisfied with the work. They did an awesome job and very professional. We will definitly spread the word and use elmwood again on our future projects. Again, i can't express enough how satisfied I am. Well worth the money we spent. We were extremely happy with the final product done by the Elmwood Flooring crew. (the guys buffed and recoated our floors and fixed our stairs). The staff was very professional and we would recomend the company to others. Thanks! The refinishing of the floor looks factastic. We couldn't be more pleased with the quality of the work. In addition, the customer service and interaction from ElmWood was always professional and knowledgable. From the moment we contacted this company with our inital inquiry to the finished product was a great experience. We were extremely happy with the entire process. We felt like Darren and the company went above and beyond our inital expectations. The floors look great, communication was exceptional, and everyone was very helpful, considering our status as first time home buyers! Thank you! We handle all types of commercial and residential Hardwood flooring including but not limited to; sanding, refinishing, and installation. We install and refinish wood floors, patio decks, fix bad floor boards, install all types of tile-stone/glass, Pergo, staining wood, wood garage doors, front doors to your home, stairs, and railings, carpeting and cleaning. We also offer custom design work and installation. No job is too BIG or small for our company.